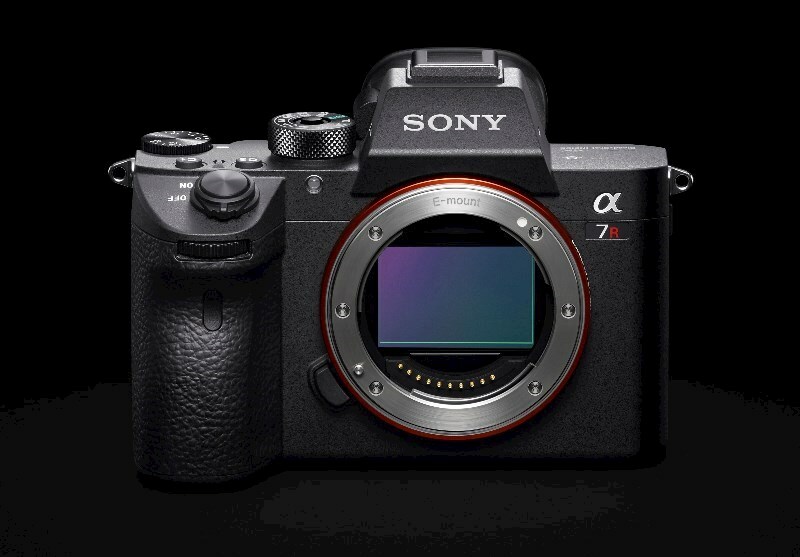 Sony’s acclaimed a7 III and a7R III mirrorless cameras have received an exciting firmware update – software version 3.0 - that enhances Real-time Eye AF performance and adds Real-time Animal Eye AF and interval shooting for time lapse. Welcome to a new world of imaging with resolution, sensitivity, dynamic range, processing speed, and shooting response further enhanced. The α7R III packs pro-style operability into a strong, compact body to give you greater flexibility to take brilliant shots in any situation. With such high power, precision, and potential at your command, you can capture once-in-a-lifetime experiences. Technology both frees and confines art. As it evolves restraints diminish and art comes to the fore. The 7R III makes an evolutionary leap, freeing the user to explore previously unseen worlds of detail, color, dimension, and time. Back illumination for high sensitivity, gapless on-chip lenses, antireflective seal glass coating, no optical low-pass filter, and other advanced features contribute to unprecedented imaging performance. High resolution, high sensitivity with low noise, and wide dynamic range add up to vastly expanded shooting potential. The latest high-speed front-end LSI and updated BIONZ X™ imageprocessing engine provide a dramati increase in system speed, plus an impressive 15-stop dynamic range* at low-sensitivity settings. 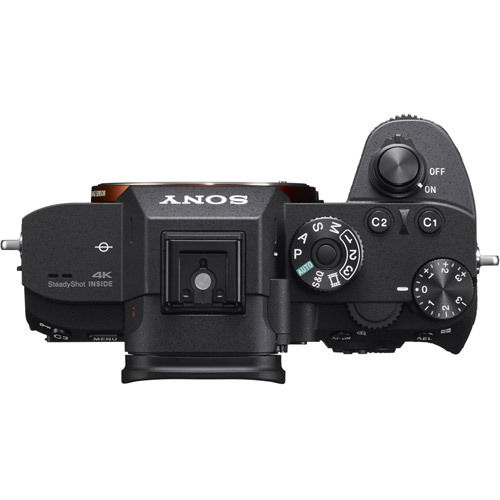 Advances have also been made in Sony’s Detail Reproduction Technology and Areaspecific Noise Reduction features, reducing noise by as much as a full stop** in the mid sensitivity range. A sublime blend of high resolution and low noise is ensured over a wide sensitivity range, for outstanding image quality and color accuracy that are ideal for portraits and landscape photography. The standard ISO range has been extended to ISO 100 ~ 32000, expandable* to ISO 50 at the low end and ISO 102400 at the high end for wide coverage that can capture low-light scenes with high quality and low noise. This high-resolution Quad-VGA OLED Tru-Finder has approximately 3.69 million dots for fine detail and high contrast for accurate black reproduction. High luminance brings viewfinder brightness closer to that of the actual scene. The high quality of the viewfinder image and features like focus magnification make it easier to achieve perfect focus with just about any subject in any situation. “Standard” and “High” quality settings are available for the viewfinder and monitor. “High” takes advantage of the large amount of data read from the 42.4 effective megapixel sensor to provide extra fine viewfinder and monitor displays for a more natural view. By magnifying the selected focus area while using autofocus to shoot stills this function makes it easier to achieve perfect focus, especially for macro photography and other critical applications. The evolved BIONZ X processing engine improves the accuracy of “peaking” display that highlights in-focus areas when focusing manually, making it easier to achieve precise focus. To ensure maximum reliability in harsh conditions, body durability has been enhanced by the use of a lightweight, high-rigidity magnesium alloy for the top cover, front cover, internal frame, and rear cover. Increased lens mount rigidity maximizes durability when using heavy optics, and the grip has been redesigned and unified with the front cover using magnesium alloy for higher overall rigidity. Sealing is provided at critical locations to minimize dust and moisture ingress, ensuring reliable operation in challenging environments. Breakthroughs in continuous shooting and autofocus performance make it easier than ever to capture those elusive natural moments that define the photographer’s art. Enhanced operability and reliability further ensure that not a moment is lost. Continuous shooting at up to 10 fps* with accurate AF/AE tracking makes it possible to capture moving subjects in their most photogenic moments while taking full advantage of the camera’s 42.4 megapixel resolution and 14-bit output. The image files produced contain ample data for flexible trimming and retouching without losing image quality. 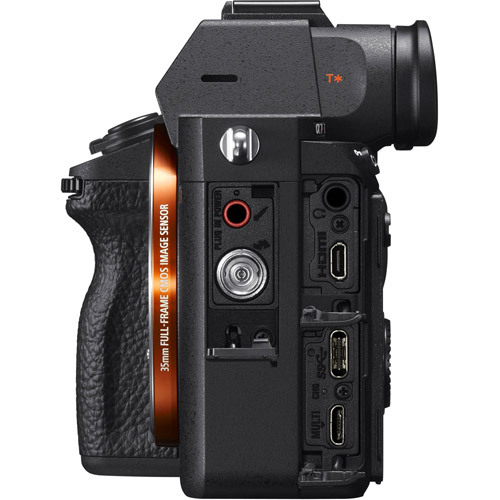 It is also possible to shoot continuously at up to 8 fps* in live view mode, with minimal viewfinder/monitor display lag. Silent, vibration-free shooting at up to 10 fps** with AF/AE tracking and no cropping is also available when shooting in silent mode. Silent shooting is critical for wildlife photography where even the slightest shutter noise can mean missing the moment. 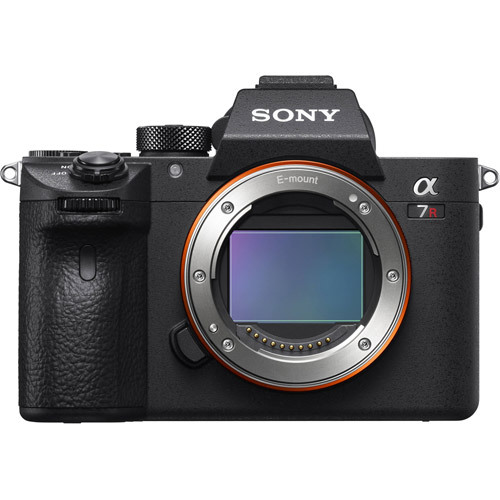 Evolved image processing plus AF algorithms from the 9 refined and optimized for the 7R III provide significant improvements in AF speed, precision, and tracking performance. Even the wildest motion can be tracked reliably. 399 focal plane phase-detection AF points cover approximately 68% of the image area in the horizontal and vertical directions, complementing 425 contrast AF points for consistently reliable focus. 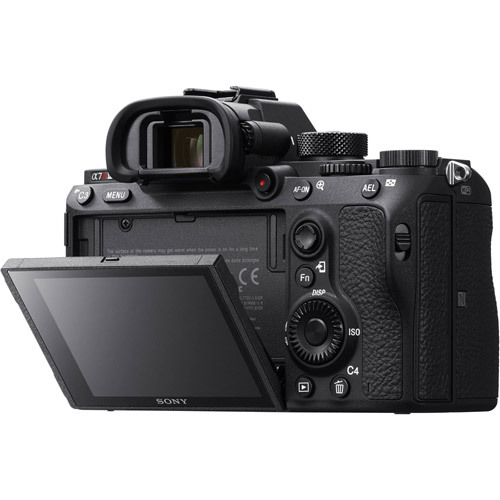 Enhanced Fast Hybrid AF System performance achieves low-light AF response that is up to twice as fast* as the 7R II. Focus is fast and reliable even in dim lighting. Tracking performance during continuous shooting has been improved by approximately 2x. * Complex, unpredictable motion is reliably tracked with greater precision than ever before. Focal plane phase-detection AF also functions with A-mount lenses* mounted via the LA-EA3 adaptor, providing wide-area coverage, fast response, and high tracking performance. Eye AF is now supported with A-mount lenses*. Press the AF-ON button to activate autofocus when shooting stills or movies. This makes it possible to release the shutter instantly to capture fleeting moments without having to go through the normal half-press focus sequence. The multi-selector provides a fast, efficient way to shift focus points. Simply press the up, down, left, or right button when using the Zone, Flexible Spot, or Expand Flexible Spot focus area mode. This 3.0 type LCD monitor with 1.44 million dots features high resolution for detailed viewing. WhiteMagic™ technology is included to ensure that LCD viewing is bright and clear even in outdoor conditions. The monitor tilts upwards by a maximum of 107°, and downwards by a maximum of 41° for flexible hold and framing. Simply touch the monitor screen to specify the desired focus point for stills or movies. Even subjects near the frame edges can be instantly selected without having to reframe or manually shift the focus point. Double-tap any point for a magnified view of that area when focusing manually. 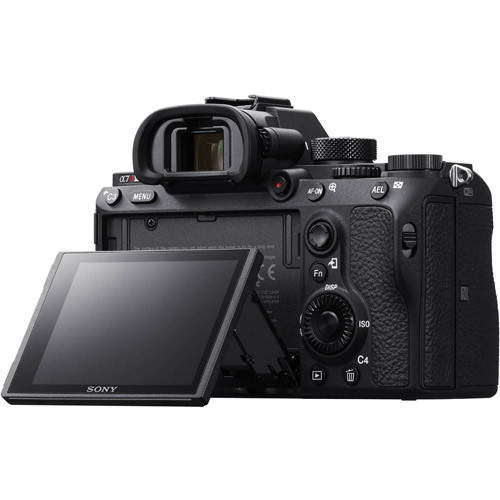 The monitor touchpad function allows the focus frame to be dragged to any desired point with a fingertip while viewing through the viewfinder. Relative and absolute modes are available, and nine area patterns provide easy operation when viewing with either eye, and when positioning with either hand. It is possible to use separate or identical focus areas and points for horizontal and vertical camera orientations, reducing the need to readjust focus when shooting subjects that requires frequent camera orientation changes. The sensitivity with which autofocus will follow subjects that move outside the focus area can be adjusted in 5 steps when shooting stills. Higher sensitivity is best for subjects at varying distances, while lower sensitivities can keep focus on a subject that is briefly obscured by other objects. Frequently used focus point settings can be memorized and instantly recalled via custom button assignments. Focus area mode settings can also be memorized and recalled as required for fast, convenient operation. Memorized settings (exposure, focus settings, drive mode, etc.) can be assigned to custom buttons for temporary recall while the button is held, providing a convenient way to quickly make temporary setting changes. A larger buffer memory, increased overall system speed, UHS-II support, and other refinements allow up to 76* JPEG or compressed RAW images, or up to 28* uncompressed RAW images to be captured in one continuous burst. Ratings of from 1 to 5 stars can be applied to still images right from the camera controls. The rating and protect functions can be set via assigned custom buttons while viewing the review playback display on location or while traveling to save time. Images shot in continuous mode can be reviewed as groups, and the play index display has been significantly improved. Continuous groups can be deleted or protected in one quick operation to save time on location. A new NP-FZ100 battery provides approximately 2.2 times the capacity of the NP-FW50. The optional VG-C3EM Vertical Grip holds two batteries, or an optional Multi Battery Adaptor (NPA-MQZ1K) can hold up to four Z batteries for even further extended recording time. USB Type-C™ and Multi/Micro USB connectors allow external mobile batteries to power the camera for extended recording time. The Multi/Micro USB connector can be used with a remote control unit or other accessory while the USB Type-C™ connector is used for power supply or PC tethering. Innovations in Eye AF technology make the delicate task of photographing people smoother and easier, while 5-axis image stabilization boosts mobility and flexibility for significantly enhanced portraiture potential. Eye AF automatically detects and focuses on the subject’s eye. Notable improvements in detection precision and speed in the 7R III result in approximately doubled* tracking performance when shooting moving portrait subjects. Eye focus is fast and accurate even if the subject is distant, looking away from the camera, backlit, or in other situations that would challenge previous systems. Eye AF is also supported for A-mount lenses mounted via an adaptor. A new precision stabilization unit and gyro sensors work with optimized image stabilization algorithms to achieve a 5.5-step* shutter speed advantage. Camera shake is effectively compensated for in 5 axes, and stabilization is effective for movies as well as stills. The viewfinder image is stabilized too, making it easier to frame and focus. Effective stabilization is achieved with a wide range of lenses, including non-stabilized E-mount lenses, and A-mount lenses mounted via an adaptor. Features and operation related to PC remote shooting and flash lighting have been updated in many important ways, complementing improved response and higher efficiency for professional studio applications. A USB Type-C™ connector that supports fast USB 3.1 Gen 1 data transfer makes high-speed PC Remote data transfer available for smooth handling of large RAW image files. Quickly review images on a PC, and continue shooting without having to wait for slow file transfers. When the camera is tethered to a computer, still images can be stored in the camera as well as on the computer so they can be reviewed without having to leave the camera position. And when shooting RAW & JPEG it is possible to transfer only the JPEG files to the computer to reduce data volume and allow transferred images to be reviewed immediately. A new suite of imaging apps from Sony provides top-quality RAW development, convenient PC tethering, and efficient viewing/management. Live viewing on the computer screen with semi-transparent reference overlay capability is available during tethered shooting. Focus points can also be set from the computer. The new Pixel Shift Multi Shooting feature can also be used while tethered, and the pixel-shifted images can be immediately composited and viewed. A standard sync terminal is provided for convenient synchronization with studio flash units and other external lighting equipment. Release time lag has been minimized for smooth, responsive flash photography. Continuous flash shooting at up to 10 fps* offers advanced capture capability. Slow sync and rear curtain sync** can be selected when shooting with wireless off-camera flash for even further enhanced versatility. Still images of art and architecture take on a new dimension of reality with unprecedented subjective resolution. 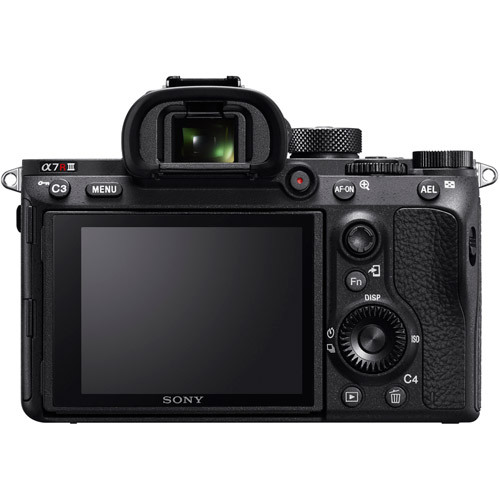 This new feature takes advantage of the advanced in-body image stabilization system control capability available in the 7R III, precisely shifting the sensor in 1-pixel increments to capture four pixel-shifted images containing a total of approximately 169.6 million pixels* that are later composited using a computer to achieve overwhelming subjective resolution in a single image. Still images are captured with true-to-life details, texture, and color, with minimal moiré and color artifacts. Even the atmosphere of the subject and surroundings are reproduced with breathtaking fidelity, making Pixel Shift Multi Shooting an ideal technology for archival images of art, architecture, and more. In a “normal” digital capture each pixel represents just one color: red, green, or blue. The surrounding pixels are used to supply the necessary extra information required to interpolate and reproduce the remaining two primary colors. Pixel Shift Multi Shooting, however, composites four pixel-shifted images so that each of the sensor’s 42.4 million effective pixels can represent red, green, and blue values simultaneously. Extra interpolation becomes unnecessary so the data from the sensor can be directly synthesized to recreate the final colors. The result is unprecedented reproduction accuracy and detail for true-to-life textures. Images shot using this feature can be processed using the dedicated PC software from Sony running on a personal computer. 5K (15-megapixel) oversampling results in 4K movies with an overwhelming sense of depth and detail, while a new HLG picture profile supports high-quality HDR content creation. High resolution and wide dynamic range come together with stunning realism. Full pixel readout in the Super 35 mode, without the need for pixel binning, makes it possible to condense 5K (15-megapixel) data into highresolution, extraordinarily beautiful 4K movies with minimal moiré and jaggies. Advanced image processing also allows full-frame 4K movie recording with dramatically improved image quality at mid to high sensitivities. Super 35mm or full-frame recording can be selected as required. Sony’s S-Log gamma curve provides extra flexibility to achieve a “look” that best serves your artistic vision during post-production color grading, while a newly added HLG (Hybrid Log-Gamma)* picture profile supports instant HDR production without the need for color grading. Extra care has been taken to ensure that a wide range of HDR content creation requirements are fully supported. Movies recorded using the HLG profile will appear true-to-life with no blocked shadows or blown highlights when played back on an HDR (HLG) compatible TV, without the need for color grading. The BT.2020 color space is supported, providing a wider color gamut. In addition to S-Log2, S-Log3 is available for better gradation from shadows to mid-tones (18% gray) and a wide dynamic range of up to 14 stops for movies. A new color SGamut3 color space that is a refined version of S-Gamut is also provided. Fast Hybrid AF performance during movie recording has been refined, providing a wide AF area that is similar to that provided for still images. AF now accurately locks onto movie subjects over a wider area. Frame rates from 1 fps to 120 fps can be selected in eight steps for up to 60x quick motion and 5x slow motion while recording with full-HD quality. This function sets the temperature at which the camera will automatically shut off. “High” allows longer movie recording times when the camera is mounted on a tripod. High-quality stills can be extracted from movies and stored separately: 8 megapixel stills from 4K movies, and 2 megapixel stills from full-HD movies. This function simplifies exposure monitoring, especially when shooting with Log gamma. A new minimum brightness level setting helps to avoid blown out highlights. 4K movies and lower-resolution proxy movies can be recorded simultaneously. 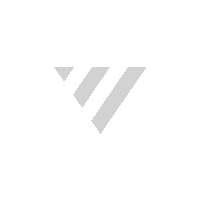 The smaller proxy files are ideal for quick previewing or pre-editing that can reduce the time required for final 4K editing. Picture profiles, Clean HDMI, Time Code/User Bit, REC control, Gamma Display Assist, and other details provide comprehensive support for advanced video workflows. A well thought out selection of customizable functions, detailed AE and AWB settings, plus image management and sharing features provide handy solutions to a wide range of professional needs. A new My Menu feature allows up to 30 items to be registered for instant recall. Registered items can be arranged in any convenient order, and unused items can be erased as required. The primary menus have also been reorganized for smoother search and operation. 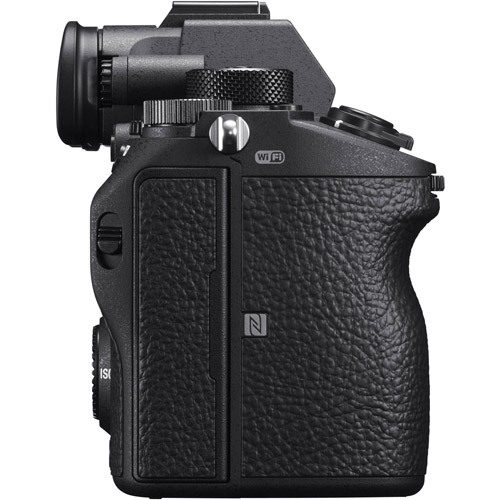 The Fn button can be used to quickly display and select from up to 12 freely assignable functions while shooting. Assign functions you use frequently for fast, efficient selection and operation. Custom button assignments allow the camera interface to be customized for individual shooting preferences. Eleven buttons can be reassigned to select functions you choose, and separate functions can be assigned for the still, movie, and playback modes. The control direction of the front and rear dials can be set via the menus. It is also possible to assign the large, accessible shutter button to start and stop movie recording, rather than using the MOVIE button. Camera setups, including modes and camera settings, can be registered in memory for instant recall via the mode dial: up to three in the camera, and four on a memory card. Memory card setups can also be loaded into a separate 7R III body. analysis enhances stability The live view image is divided into 1,200 segments for detailed analysis of subject color and lighting. The use of focus information to ensure consistent AE control is another innovation that can reduce variations in image brightness in varying situations. When the Focus Area parameter is set to Flexible Spot or Expand Flexible Spot the metering spot location can be linked to the focus area so that the optimum metering point is maintained automatically. Two spot sizes are available to match a wide range of subjects. Flicker from fluorescent lights and other artificial lighting can ruin still images if it and the shutter timing are out of sync. The 7R III automatically detects flicker and adjusts shutter timing to eliminate its effects. The standard exposure value can be adjusted from -1 to +1 stop in 1/6 stop increments. This setting can be made separately for each metering mode. When incandescent lamps or similar are the primary light source and white balance is set to Auto, the color tone priority can be set to Standard, Ambience, or White. Ambience priority produces a warm tone, while white priority is designed to provide accurate white reproduction. This function sets the shutter speed above which ISO sensitivity will begin to change when the camera mode is set to “P” or “A” and “ISO AUTO” is selected. It can be used to minimize subject blur when shooting moving subjects. After the camera has been paired to the PlayMemories Mobile™ app installed on a compatible mobile phone or tablet device, it can acquire location data from the mobile device and record that data with still images or movies. The PlayMemories Home™ application can then be used on a personal computer to organize images imported into the computer on a map. sharing transfers photos/videos to the device. Install the PlayMemories Mobile app on an NFC-enabled Android device via Wi-Fi, then touch the device to the camera to connect. The camera now features QR code compatibility. This function allows convenient Wi-Fi transfer of still image files selected via the menu display to a specified remote FTP server. FTPS (File Transfer Protocol over SSL/TLS) is supported, allowing SSL or TLS encrypted data transfer for maximum security. The first three characters of still image file names can now be edited for easier identification, and copyright information can be automatically embedded in still image files. Recording the photographer’s name and author’s name along with images provides basic copyright protection. Eye-start AF (only with LA-EA2 or LA-EA4 attached (Sold separately)), Lock-on AF, Eye AF, AF micro adjustment, (Sold separately), with LA-EA2 or LA-EA4, Predictive control, Focus lock, AF Track Sens, Swt.V/H AF Area, AF Area Regist. Bracket: Cont., Bracket: Single, 3/5/9 frames selectable. With 3 or 5 frames, in 1/3, 1/2, 2/3, 1.0, 2.0, or 3.0 EV increments, with 9 frames, in 1/3, 1/2, 2/3, or 1.0 EV increments. 3/5/9 frames selectable. With 3 or 5 frames, in 1/3, 1/2, 2/3, 1.0, 2.0, 3.0 EV increments, with 9 frames, in 1/3, 1/2, 2/3, 1.0 EV increments. Flash off, Autoflash, Fill-flash, Slow Sync., Rear Sync., Red-eye reduction (on/off selectable), Wireless, Hi-speed sync.